Data privacy statement - RomaTrial e.V. The legal basis for data protection is the Federal Data Protection Act (BDSG) and the Telemedia Act (TMG). When using the Internet, your browser transmits data. This includes the name of your Internet service provider, an IP address, the website from which you visit romatrial.org, the files you retrieve from us, the amount of data transmitted and the date and duration of the visit. For statistical purposes, this data is stored and evaluated on our web server to ensure system security. The data is not to be associated with you personally, you remain as an individual anonymous user. Personal information is information about you as a person. This information includes: Your name, address, mailing address and e-mail address etc. Information that cannot be directly linked to your identity (such as length of stay on the website) is not personal information. Personal data is only collected when using romatrial.org if you send them to us yourself, for example when sending an e-mail. Your data entered in the e-mail and your e-mail address will only be saved for your specific purpose. To process an order, for example, we need your full address. Your personal data will be deleted by us as soon as there is no reason for further processing or storage. To ensure this, we perform a deletion of all legacy data. Subject to a statutory retention obligation, deletion takes place in the event that the purpose of the data processing no longer exists, no contractual basis or no legitimate interest exists. We do not share your data with third parties.  All employees of RomaTrial e.V. are bound by the Federal Data Protection Act (BDSG) and the following statutory provisions. Only in the case of a legal obligation or a court order can we be obliged to pass your data on to authorized sources. Right to information: You can inform us any time about the data processed by us. In this case, we will inform you in writing which data we have stored about you, for what purposes we use them, to which categories of recipients we pass them on and how long we intend to save them. We will try to respond to your request for information immediately but will do so at the latest within one month. Right to delete: You have the right to request the deletion of your data processed by us at any time. We will comply with this request if your data is no longer necessary for the purpose of the survey, if you revoke any existing consent, in the case of unlawful data processing or if the deletion is necessary to fulfill a legal obligation. Right to correction: If we mistakenly process incorrect or incomplete data about you, we will of course correct it. All that is needed is an informal application addressed to us. Right to restriction of processing: If the deletion of your data is not possible or you do not want it, but you disagree with a use beyond the storage of the data, we have the obligation, at your request, of further processing your personal data. Right to data portability: We will provide you with the information we have stored about you, based on a contract or your consent, free of charge, in a common file format, upon your informal request. You can use this data for your own purposes and pass it on to future contractors. We will – if you so desire and it is technically feasible – also directly transfer your data to an addressee designated by you. In this case, we will inform you after the transfer. We will comply with your request without delay. Right to objection: In certain cases, you have the right to object to the further processing of your data under the General Data Protection Regulation. Since we currently do not carry out any data processing in our association for which the right of objection is due, we would refer you to the right to delete or the right to limit processing (see above). Our online offering includes third party content, e.g. YouTube videos, maps from Google Maps, RSS feeds or graphics from other websites. The provider of this content (third party) will use the IP address of the users. Because without the IP address, the contents cannot be sent to the browser. The IP address is required for the presentation of this content. We have no control over this if the third-party vendors use your IP address, e.g. saving it for statistical purposes. This website uses plug-ins from the provider Facebook.com, which are provided by the company Facebook Inc., 1601 S. California Avenue, Palo Alto, CA 94304 in the USA. Users of our website, on which the Facebook plugin (“Like” button) is installed, are hereby informed that the plugin establishes a connection to Facebook, whereby a transmission is made to your browser, so that the Plugin appears on the website. Furthermore, the use of data to the Facebook server forwarded, which contain information about your website visits to our homepage. For logged-in Facebook users, this results in the usage data being assigned to your personal Facebook account. As soon as you use the Facebook plug-in as a registered Facebook user (e.g. by clicking on the “Like” button or using the comment function), this data will be transferred to your Facebook account and published. This can only be avoided by logging out of your Facebook account. For further information regarding the use of data by Facebook, please refer to the data protection provisions on Facebook. On our website you will find links to third-party websites on whose contents we have no influence. The respective provider or operator of the pages is always responsible for the contents of the linked pages. We ask the readers to inform us immediately about any illegal contents of the linked pages. Responsible body for the collection and use of your personal data within the meaning of the Federal Data Protection Act is the executive committee of RomaTrial e.V., Leipziger Str. 66, 10117 Berlin.